Once you have done played with the demo, it’s time for the implementation. Let’s start with downloading the latest release from github and import it to your HTML page using script tag. 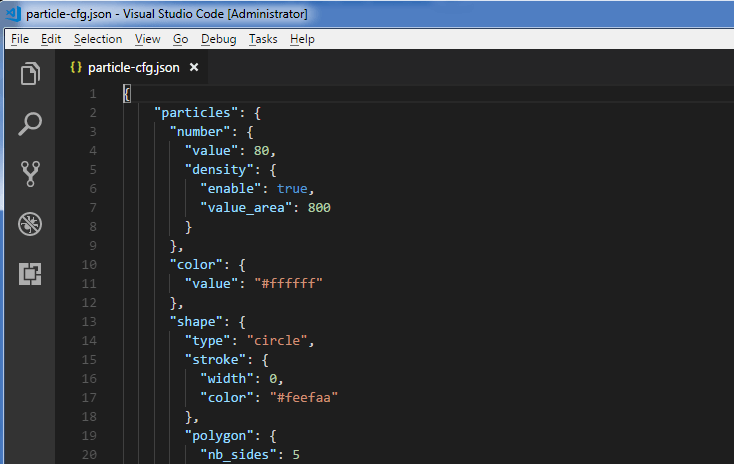 Next create a configuration json file. 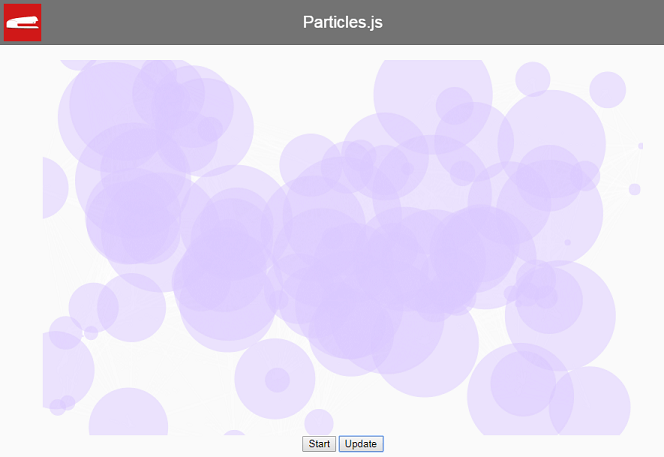 This is the where you can customize the particle option such as size, density, movement, color etc. I’m going to use the basic setting provided on the github which should be a good start. I’ll also change the color a little bit since the page background is white. 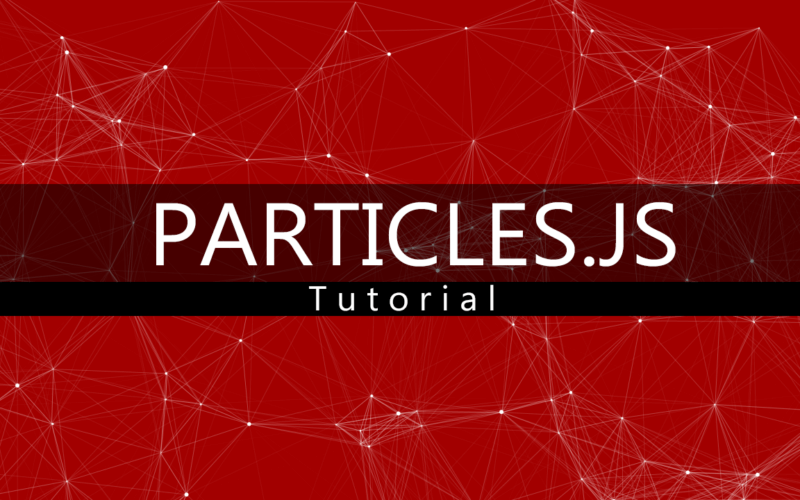 Next create a div element that you want to use as particle wrapper with appropriate width and height. I’ll also create a button to start the particle effect when clicked. and that’s it you’ready to go. Let’s see how it works! 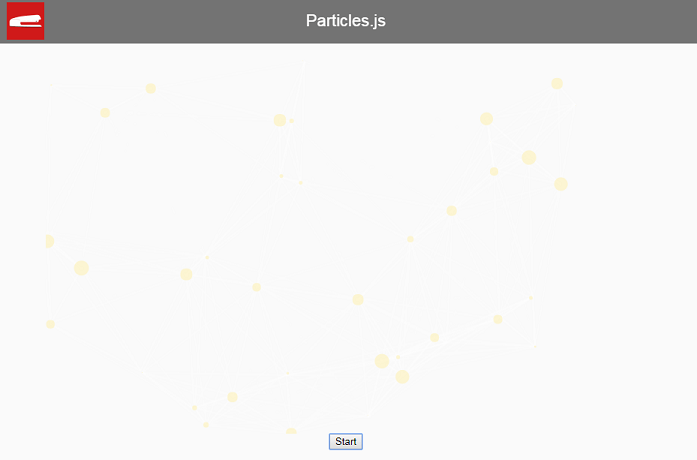 You can also make change to the particle option on the fly. Let’s create an update button. Inside the click event handler, we can reference the particles.js object array and make change to the setting like this. You can see the full list of these setting on the github. When you’re done with the updates, call particle refresh method to pick up the change. And here is when you click the update button.